Will we ever phone E.T.? This question has been the subject of science fiction literature since H. G. Wells, and has popped up in films, video games, and more. But how close are we to truly finding life out there? 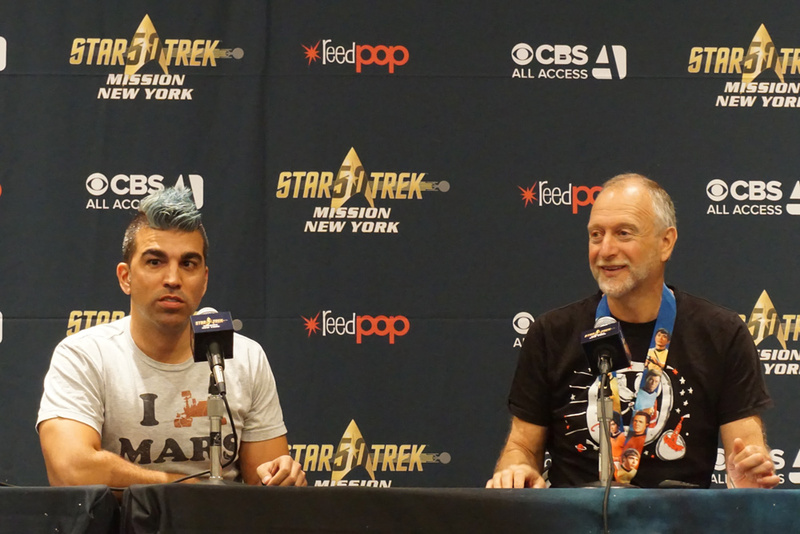 A panel of experts spoke on this topic during an event celebrating Star Trek’s 50th anniversary in NYC. NASA Jet Propulsion Laboratory’s Bobak Ferdowski, together with Dan Werthimer, University of California Berkeley’s Search for Extraterrestrial Intelligence (SETI) chief, led the discussion. Let’s dive into their answers to two of the most intriguing questions from the discussion. If we do find life, will it be primitive or intelligent? Intelligent life does not necessarily equate to technological life. For example, dolphins are intelligent, but you don’t see them building VR devices (that we know of, anyway). It will most like be some time before we find intelligent life. Primitive extraterrestrial life, on the other hand, could be discovered in the next 20 to 30 years, according to Ferdowski and Werthimer. They pointed out the potential for life on Europa, one of Jupiter’s moons. “Europa [may be] completely covered in water. That’s great for primitive life, but if you want technology, you’ve got to have some land surfaces as well,” Werthimer explains. We may find primitive life there, “but it won’t necessarily evolve into something more complex than single-celled life” he points out. If extraterrestrial technological life does exist, the beings may not be interested in contacting us. The panelists contrasted two popular theories — the Drake Equation and the Fermi Paradox. The former posits that intelligent life should be a fairly common occurrence in the universe. The latter questions why alien life, if it was indeed possible, is not observable in a universe teeming with it. The panelists answered by assuming an extraterrestrial version of Star Trek’s “Prime Directive:” this technological life may be prohibited to mingle with less advance cultures. Or maybe some just aren’t explorers by nature. Will extraterrestrial life resemble humanity? “If it’s exactly the same as us, that probably doesn’t mean there were two independent origins of life,” says Ferdowski. If extraterrestrial life does exist, and resembles human beings in basic biology, that could prove there was a common precursor of life in the cosmos, a theory known as panspermia. The panelists may not have come to a definitive answer, but they did leave us a lot to consider when we look at our own galactic existence. How Close Are We To Bringing Star Trek Technologies to Life?